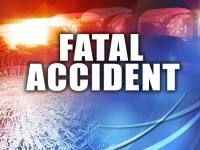 Two Kansas men are dead after a fiery crash Friday in Ford County. Steven Alan Hornung, 22, of Offerle, was driving a 2008 Silverado truck westbound on U.S. Highway 50 and went left of center. Raul De La Torre, 49, of Dodge City, was traveling eastbound on U.S. Highway 50 in a semi pulling a trailer and went left of center in an avoidance maneuver, according to the Kansas Highway Patrol. Investigators at the scene said Hornung corrected back into the westbound lane where the two vehicles collided. Both vehicles were fully engulfed by fire. The accident happened at 5:48 a.m. Friday about a half mile east of Wright on U.S. Highway 50 in Ford County.